EDEL Technology Consulting has sealed its position as one of Africa’s most reputable IT firms after being nominated for Ghana IT Consulting Firm of the year, for a second year in a row. EDEL Technology won last year’s (2016) award, organized by Ghana Information Technology and Telecom Awards (GITTA). This nomination comes only weeks after the company was adjudged winner of the African Business and Social Responsibility: SME Category in Mauritius. “EDEL Technology is deeply honoured to be recognized again for excellence. It means a lot to our team of diligent workers who give their all to make sure that we deliver excellent service. 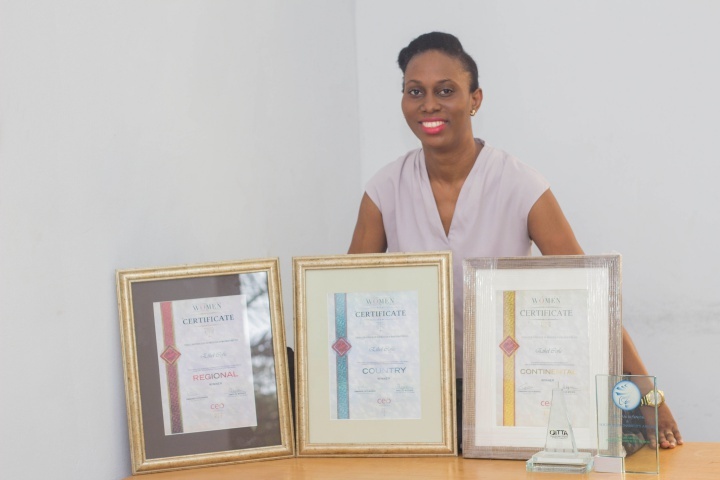 With these awards and nominations, we are cementing our position as one of the most reputable IT firms in Africa,” said Ethel Cofie, CEO of EDEL Consulting. EDEL Technology Consulting is a Global brand that uses the combination of strategy and innovation to deliver customized technology solutions that create new revenue streams and process efficiency to its clients, with projects delivered in West Africa and UK. The Ghana Information Technology & Telecom Awards recognizes innovation and excellence in the Telecom and Information Technology industry. The awards now in its seventh year, rewards individuals and organisations for the key role they play in delivering excellent services in the sector.